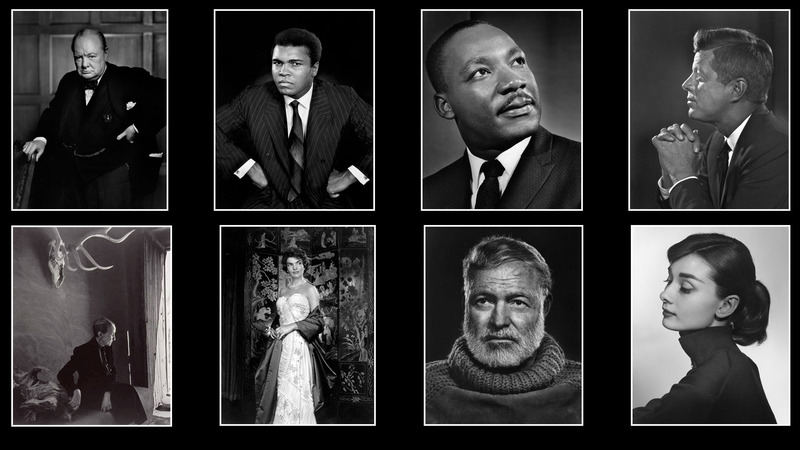 Yousuf Karsh is inarguably the greatest photographic portraitist of the twentieth century. His subjects are a whos-who of celebrities, politicians, royalty, movers and shakers, authors and astronauts. His catalog of photos and stories about the sessions are engaging vignettes into this master of photographing people. My chief joy is to photograph the great in heart, in mind, and in spirit, whether they be famous or humble. Karsh opened his studio in Ottawa in 1931. He did well. In 1941 he made the portrait that cemented him as a premiere photographer — the picture of Winston Churchill scowling. This was during the first part of World War II before the United States had entered the fight. Churchill was in Canada addressing the Parliament. He paused for the portrait with his cigar perched between his lips. Karsh stepped up to the British Prime Minister and snatched the cigar away, apologizing as he made his way back to release the shutter. It should be the aim of every photographer to make a single exposure that shows everything about the subject. I have been told that my portrait of Churchill is an example of this. A list of Karsh’s subjects is long, formidable and storied. Here is a very small sampling: Artists Pablo Picasso, Georgia O’Keefe and Juan Miro, world leaders John Kennedy, Fidel Castro and Nikita Kruschev, scientists Albert Einstein and Albert Schweitzer, sports figures Mummahod Ali, explorers Jacques Cousteau, royalty, Queen Elizabeth, Princess Grace and Jackie Kennedy, movie stars Laurence Olivia with Vivien Leigh, Joan Crawford, Audrey Hepburn and Elizabeth Taylor, have been immortalized by Karsh and his 8 by 10″ camera. Influential photographers are featured weekly in On Photography.